Sony Electronics and AFI Conservatory executives. Sony Electronics announced Monday a 4K movie-making project called "Sony/AFI 4K Shorts: Be Moved." This project will showcase the talents of American Film Institute (AFI) Conservatory's alumni. 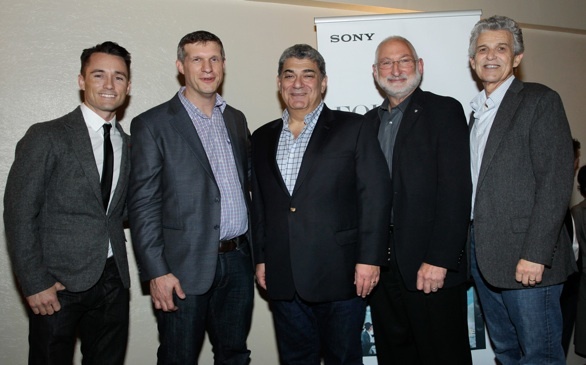 During Monday's AFI Fest, Sony executives and AFI Conservatory leaders announced they will source treatments for alumni short films that will be finished in 4K and premiered at select film, TV and electronics industry events throughout 2014. Here is the concept: each "Be Moved" short will be four minutes long and will demonstrate the unique capabilities of Sony 4K technology to "complement and expand a director's artistic vision," according to a prepared statement. Five AFI Conservatory filmmakers will be given a full camera package built around Sony's F65, F55 or NEX-FS700R camera technologies. This project is essentially an opportunity for filmmakers to develop content that best represents 4K's "cutting-edge nature." It comes at a critical time in 4K technology; movies and TV shows are increasingly being shot with Sony 4K cameras. This article has been viewed 1428 times.